Debra Wisler, 39, of Millville. 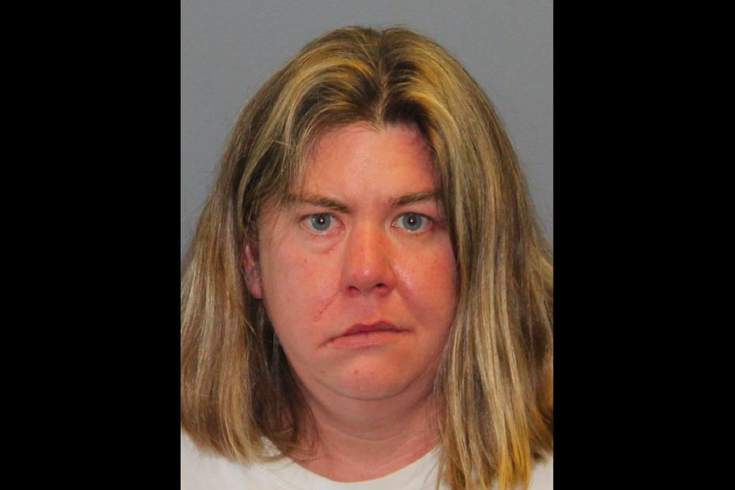 New Jersey State Police have arrested a Millville woman who allegedly drove her special-needs son out to the woods and left him there with nothing but luggage. Authorities say Debra Wisler, 39, drove her 10-year-old son to the woods near the visitors center at Joint Base McGuire-Dix-Lakehurst last Thursday and left him there by himself. When a passing motorist spotted the boy and contacted military personnel, the child was taken to the visitors center to be fed and evaluated. First responders determined that he had minor, non-life-threatening injuries. Police said the boy told visitor center employees that he fell asleep when his mother left him and later woke up hungry. He was able to provide his mother's name and phone number to the employees, enabling them to contact both Wisler and state police. The boy was taken into custody by state police and turned over to the Division of Child Protection and Permanency. He has since found a temporary home. Investigators interviewed Wisler last Friday and determined that she allegedly left her son in the woods after discovering he was ineligible for a child program at Joint Base McGuire-Dix. Wisler is charged with endangering the welfare of a child and has been released pending a court date.